ALL is set for the inauguration ceremony of Zambia’s sixth President, Edgar Lungu, at the National Heroes Stadium in Lusaka today. Secretary to the Cabinet Roland Msiska said in a statement that the ceremony will start at 10:00 hours to be followed by a luncheon to be hosted at State House at 14:00 hours. “All dignitaries to the inauguration ceremony and the State luncheon should hold their invitations which were prepared for yesterday Saturday January 24 as valid,” Dr Msiska said. He said access by dignitaries to the National Heroes Stadium will be by invitation while designated wings on the eastern, southern and northern parts of the stadium will be open to the public without invitations. “The luncheon at State House will be restricted to dignitaries with invitations only,” Dr Msiska said. Acting President Guy Scott yesterday inspected preparatory works at National Heroes Stadium. Dr Scott said he is impressed with the preparations done so far. Why inaugurating a thief? Lungu has stolen votes from HH. He has stolen a vote from HH. May Edgar Chibuku lungu not survive upto 2016. 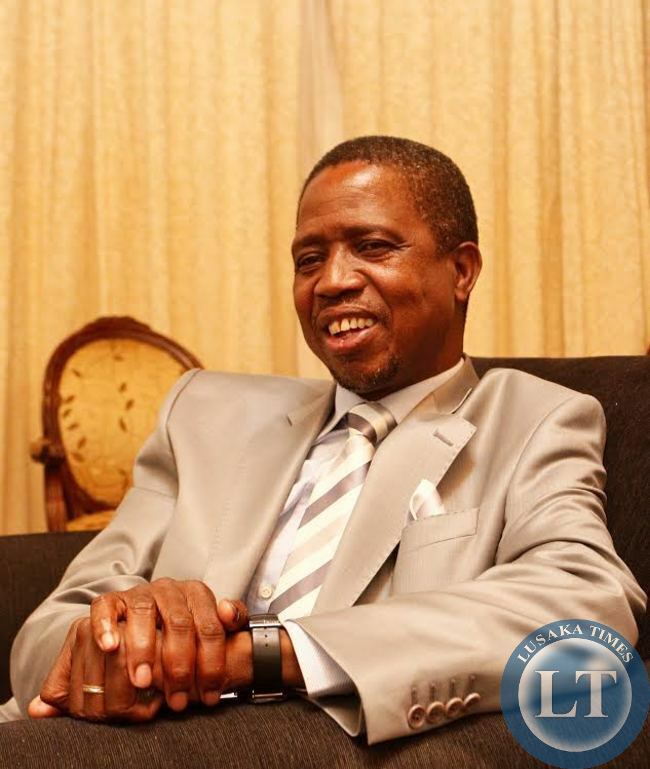 I wish quick death for Edgar Muhammad Lungu. May yo testakles safa from prolonged cancer. May all people who voted for Edgar Lungu die in road accidents and may their grave remain cursed ones. My suggestion is that this is the time for the Bantu Botatwe, Lozis and people from North Weastern Province should consider liberating themselves from the hands of the enemy. This is the time to divide Zambia. In my case, I am ready to renounce my Bemba Tribe/Language and join that of my husband Lenje. Edgar lungu is an iligitmate President. HH is the true winner of these elections. God is watching you Edgar Lungu and your fellow thieves. You should pay for your sins by death. Majority of true and real Zambians love HH and not Edar Lungu. You are talking rubbish ka Jane Chinena and cursed are your parents for having a demon like you! , I like his name also. Not ati “Haka Hichi.” He can hang with his money kumayadi uko. Afterall we hear that HH stole money during privatisation of companies, who know. to deliver, God is on our side. God will protect HH and his family. @Jane Mulenga, stop being a pathetic internet troll! You are now sounding boring and irrelevant. You keep posting the same damn message over and over on all threads and blogs just to elicit a reaction from other bloggers. Take some rat poison if so depressed about EL’s election. That will take care of your sorry life and misery! Congrats Lungu, though, Zambians missed the opportunity to correct the mistakes made.. If Lungu is serious and do not become Big Headed?? He may try to deliver, otherwise 2016 is just around the Corner.. Sad that Zambians have gone backward, bringing tribalism first and vote based on Candidates Tribes..
HH Don’t relax everything happen for a reason so let’s watch, how far Lungu will go..
BA LUSAKA TIMES CAN YOU PLEASE BAR THE LIKES OF JANE MULENGA, TRUTH AND AND OTHER PROMOTERS OF HATE SPEECH WHICH CAN SLOWLY FESTER INTO SOMETHING EVIL LETS NOT GIVE SUCH CRETINS AN OPPORTUNITY TO CAUSE HAVOC THROUGH ONLINE MEDIA, IF THEY WANT TO PREACH HATE LET THEM DO SO ON THEIR ZAMBIAN WATCHDOG SITE..
BA ZAMBIA WE LOVE YOU..
On open none censuring blogs, the most effective way of rendering trolls and cyberstalkers useless is to ignore them altogether. Commenting makes them believe they are being followed or taken serious. @1.1 Cam “Jane Mulenga” is an attention seeking demon soul with too many personal challenges and frustrations in life. Be careful of the transference of spirits from such devil incarnates. God chooses leaders and he has given us his man servant in one Edgar Chagwa Lungu to serve and lead this nation. Lets support our President elect for success. Hatred is for small minds. Congrats your Excellency ECL and God bless! For us now we know how Lungu won these elections. Your anger and frustration should also be directed at the people who voted for Lungu. He didn’t mince his words, he said truthfully that he has no vision, sick, drinks non-stop, LAZ punished him for thievishly helping himself to other people’s hard earned money, he has threatened to utilise death dealing economic advice dished by failed politicians, KK & RB. Inspite of these confessions, the people rose as one in true Barabbas fanaticism to elect a dishonest and reckless drunkard. The traitors!! Guys! !, let us be civil and debate issues that will benefit the country, not insulting each other. It is painful for those of us who have lost, especially we from the UPND but not kutukwanana please. Let us give Lungu space to fulfill his (according to us UPND) “Me too” promises, if and when he fails we will go back to the people and prove that he has failed. Twateka nakabili !! President of all Zambians. EVEN LUNGU HAS SAID THANKS TO RB SO WHAT DOES IT MEAN . THERES A QUEUE AND LIST ALL WANT TO BE MU LINE UP . What a sad sad day to end up with this dude as President of our great nation. This guy has to prove me wrong because i hold him in very low esteem, i expect absolutely nothing sensible to write home about from him after his 20 months reign. The very thing he does after being inaugurated, yes you guessed right- appointment. We’ve been through this road before of hiring and firing, we may maybe in for another dose of comedy from this party of empty heads. Lord help us!!!! We have delivered our preferred leader to our destination. Congrats to all of us who delivered EL and thank you to UPND for the good. We now have to get down and build Zambia. ubufi ubufi lesa tafwaya ubufi . Cartel cannot be defeated. Part of the society. Why at National Heroes stadium and not at the Supreme Court as per practice in the past? This is a question and I expect answers to it. And who says it has to always be held at the Supreme Court? This is a question and I expect an answers to it, mama Pretty! @Pretty, The government decided this after lessons learnt from Sata’s inauguration which was a near disaster. No law says it should be at the supreme court . So to avoid embarrassment of vips congested in a small space the move to go to heroes stadium was initiated. My question answers you. Thot you were more intelligent than that reread my question….. Key word……. AS PER PRACTICE. @Lee Habaponta. Thank you. You are bright. Well ba @Pretty, PRACTICES and can always be CHANGED, TWEAKED, ABANDONED, DISCONTINUED, IGNORED, MODERNIZED, extra. Nothing wrong with that. So with all that grey matter in between your hears what made you ask and demand answers to such a silly question to start with? Next time try to be serious and ask intelligent questions like a grown up. Yes!? Uli mu fontini iwe. Talking about taking the man out of the bush and not the bush out of the man. Amatwi are ears in english. Typical…. ‘akainde ‘ichilema. Never trust a Tonga. We almost lost because no Tonga voted for our candidate. Too tribalistic Tongas! “Cross my (your) heart and hope to die”. HAVE YOU NOTED. EDGAR LUNGA HAS A PRESIDENTIAL BODY LIKE OBAMA. With the exception a of pepertualy a drunken face. I agree Edgar has presidential qualities than HH, he remained sober through out the counting process. He does look presidential in that suit, doesn’t he? Me say YES! Congrats again Bwana President…..we will be watching! Inaugurating a drunkard who was voted against by 53% of voters? NOOOOO…., A mistake is believing that you already won before votes are cast and counted. Do see what mistakes have done to one Haha… Hihi…??? BIG MISTAKE TO TAKE ZAMBIAN VOTERS FOR GRANTED. 4 times deja vu!!!!! HH lost by 7-3. 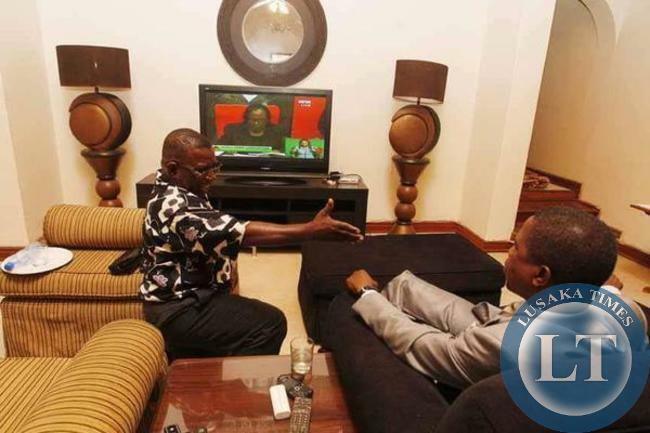 Why should a President who only wins 3 provinces rule Zambia? I would rather a President who has won in 7 provinces rule Zambia. Enka Would you rather have HH who was not elected by 55% of the voters? You just got to deal with it, EL Presidente is the man. Please don’t use this blog to vent your spleen and keep the sour grapes to yourself. Time for HH to go back to the drawing board to re-strategise for 2016. Be assured that different dynamics will be at play next elections so HH and his campaign team better come out with a totally new strategy. The GBM’s and Mutati’s will have their own battles to fight and non-factors like Maureen M, VJ, Munkombwe are destined for the historical trash bin. The so called educated pipo must be taught go back to school. HHHHH the 7 provinces you think EL won HHHH won the votes . don’t confuse pipo the same pipo promoting tribalism . DONT INCLUDE THESE PIPO IN ANY CABINET OR GOVT STRUCTURES. rigged elections are taking Zambians for granted. Dull thug. Any one who voted for Edgar Lungu is not a true Zambian, but a traitor. Iwe kaJane Hachinena, stop masquerading as a bemba. Just be proud of been tonga, and whilst you are trying to be tonga also shove the fact that ECL is the majority president down your smelly throat..
Well, as a matter of fact, Lungu has a warm heart for the people, (unlike some of those with a cold and distant mien), so it’s in order that a venue such as that one, which can accommodate many very happy and expectant people, is used. Nothing the matter with that. Edgar lungu is an illegitimate President. For a long time, he is a cursed thief of HH’s Votes. HH is the Winner of the just ended elections. @jane mulenga, you will die before Lungu. The life for Edgar is the hands of the creator and he alone marks his steps. has illegally been declared President of Zambia. Some people no matter how evil they maybe may grasp some sense in what others are saying. Not this person calling herself Jane. Surely are you human created in His image and from dust? Why wishing others dead as if you’re an exception yourself? These are just politics,don’t let yourself go astray. Deceiving yoself will not solve things. May you reverse yo sentiments and ask for His forgiveness. @Tracy, let us all just ignore this internet troll! Time to celebrate the fact that Zambia has done it again—we are able to hold peaceful elections at such short notice. We are pace setters in Africa so far. Let us not allow disgruntled cretins like Jane steal our thunder. Obviously a very sick person, this ‘jane mulenga’, one requiring the services of specialist headshrinkers urgently. jane, I am shocked that you can involve the name of our awesome God in wishing Edgar Lungu dead. You can never wish one created in the image of God dead; you MUST be a very evil person! Besides, you must be a very dull person who does not understand what civic education is all about. Be care when you wish others to dies because you may be the one to go faster. Life is purely in God’s hands. And God is not interested in hatred. Ulekula mu Mano! who force themselves to State House. In the same manner people will attend Edgar Muhammad Chibuku Kachasu Lungu’s inauguration, and so they will attend his funeral at Hearoes’ Stadium before the end of 2016. Don’t lie, you are NO WHERE NEAR being Bemba. Bembas are decent and gracious human beings. And NOT vindictive losers like your sorry self! The Zambian have delivered a confirmed drunkard and thief to direct the affairs of the name at the expense of HH’s quality leadership. Lungu has confessed he is clueless and visionless and will depend completely on the advice of failed leaders, KK and RB. Do you see the set up? Zambia is headed at sputnik speed back to UNIP days. … the people have been delivered from HH an evil man who wished death on OUR BELOVED LEADER THE LATE HEMCS!!!! …the people have been delivered from HH a bitter and selfish man, a promoter of hate and sponsor of the SATANIC ZAMBIAN WATCHDOG..
Ba LT, please bloke all posts from that troll going by the name of Jane Mulenga. It is getting on peoples nerve. Ha Jane Ha Mulenga; you need prays. You said you are married. I pity the poor husband of yours. Your home must be a present day amagedoni. Get over it. President Lungu is our President you included. UPND bad losers as usual, next time put in place proper measures not Muvi tv to do your opinion polls. Usually political parties do not pay anyone to do an opinion poll, otherwise the result will be bias and this was the case with HH. Congratulations to EL and PF for the triumph despite all those squabbles that arose after the demise of MCS. Unity has once more shown that it is vital and can produce wonders. A pity to Masebo and GBM who went flat out campaigning for the opposition in an attempt to destroy their own house. Remember umuntu mutwe. Hard luck UPND maybe next time! This “Jane Mulenga” is an attention seeking demon soul with too many personal challenges and frustrations in life. Be careful of the transference of spirits from such devil incarnates. Don’t blog or block this devil incarnate. Lets just ignore it. That was a misplaced and inappropriately applied sympathy vote given to Lungu. Zambians voted with their emotions ,not their heads. @ jane Hamunyeenga an idio.tic pilot indeed wu knows wat u fly may b u ar katele kalumba’s pilot we knw who katele is a witch. I would like to thank you the lusaka times for accurately informing us on various issue,you guyz have been non partisan since yo insertion I thank u guyz keep it up no wonder you are growing at higher let hope other will imitate u.
I FEAR FOR LUNGU FOR THE WAY AHEAD IS ROUGH FOR ZAMBIA INDEED TO BE RULED BY A PRESIDENT OF THE WORST CALIBER LIKE HIM; HALF ZAMBIAN, NO REGARD FOR ZAMBIAN CONSTITUTION , VERY CORRUPT, MUSLIM PRESIDENT OF A CHRISTIAN COUNTRY JUST HOW IMPROBABLE! THE NEXT THING IS THAT ZAMBIA WILL LOSE HER CHRISTIAN STATUS SOONER THAN WE WILL KNOW IT AND GIVE TO ISLAM THAT HAS SUDDENLY CREPT INTO THE COUNTRY IN PF ERA! RULING THE COUNTRY AFTER WINNING IN THE ECZ COMPUTERS AND NOT ON THE GROUND. WE WILL SEE FOR OUR GOD IS GREATER THAN HIS ALLAH. GOB DELIVER OUR COUNTRY FROM THE HAND OF THE PANGA FAMILY AND MUGABE DIRTY POLITICS. Am looking at edgar my tears of joy keep throwin am amazed with his humbleness look pliz and tel me if am lying look look am happy ar u am happy happy ooh yes am.this man is humle has if is not the president. First off, Jane Mulenga l doubt very strongly you being Mulenga however that’s a discourse for another time. Jane, whatever investment you have in Mr H H whether emotional or material, can never propell you to start conducting yourself in a deplorable fashion as you have exhibited. Sister if l may address you, what has happened to Edgar is the beauty of the complex of nature. Yours as a member of a human family you are obligate to co exist and remain decent. But again, l’m reminded within our membership there are members who are mentally challenged. If that’s the case, my dear sister l request that you ignore me as yours is beyond your control. The Tom and Jerry game is over. We have a president elect . Let’s respect our new president. Well done Mr. President, Hon. Edgar Chagwa Lungu! Well done Zambians! Once again, we have showed the world that it is possible to have successful elections in Africa. The majority of our people wanted continuity and their will has come to pass. Their choice must be respected, whether or not you like the candidate. As for the opposition, it is natural to feel hurt but you don’t resort to character assassination and disparaging comments as can be read on this site. If you can’t stand our new president at least you can learn to wish him luck for the love of our nation. A blessed Sunday to you all. We should embrace one another as Zambians regardless of which tribe we belong to and the party we support. We should cherish our peace. Indeed, we had 10 brothers and 1 sister vying for the Presidency. At any given time, there’s room only for 1 to be President. This time around, H.E. Edgar. C. Lungu is the who has been elected President. Let’s respect not only President Lungu but all our political leaders. Let’s pray for them all. You strike me as be DULL person. So how have I run out of ideas? Am asking a question and you telling me have run out of ideas. Just be happy you STILL have your job. I still don’t understand why our gullible people are celebrating in the streets….what is there to celebrate about? This empty tin Lungu is part of the very failures old man Sata called useless minsters, he is the selfsame individual people laughed at when he was first appointed as acting president called him alcoholic…..this empty tin never promised anything tangible not even signed a social contract to implement the current draft constitution. Lungu promised you continuity of Sata’s reckless shambolic era and you are celebrating. wake up from your docility and passivity! ! Kodi malilio yali ku Mutendere? Wina azalila – again! President is an empty tin then you are a full toileti. At least I’m full of something far better than an clueless empty tin who is continuing some old stubborn man’s shambolic era of dictationship, misappropriation and mismanagement. UPND means Useless party for Native dreamers. These are tribal native Zambians who always dream and think that they can rule this country on tribal lines. Let me warn you that Kaunda fought very hard to stop this device but the selfish dreamers who will never rule this country have come out again. Watch out! @kelvin, are you saying Lusaka Times have been more professional than Galu watchers in Zambia? You are right! Thank you for that observation! Jane, Hachilema, that is the reason why level-headed Zambians even though they would love to be objective and vote for anyone, fear what you are spiting out here. Next election will even be worse for you, mark my words! @ Jane “Mulenga” People from Bembaland are very flexible and such bitterness and idiocy you are exhibiting does not exist in Bembaland! Why cant you just be proud of where you come from instead of masquarading as Mulenga? Mind you Zambia is bigger than your hole southern province and dont expect your diapper politcian to win the presidency based on votes from your province only! You are very lucky lelo nimbuka bwino nganakutuka! Waba ifimaso wemwana wandoshi wee! @ munyelo pwete what makes you think that this #jane Mulenga is from southern? Please attack this jane on an individual basis. This hate speech against people from southern is so nauseating. One thing is guaranteed Edgar will die, jane Mulenga will die, you and me are both going die, so live with it. WHAT A GREAT SPEECH FROM HIS HEXCELLENCY EDGAR C. LUNGU..
A SPEECH FILLED WITH HOPE AND ASSURANCE FOR BETTER ZAMBIA..
A SPEECH THAT MENTIONED UNITY AND RECONCILIATION..WE ARE …ONE ZAMBIA AND ONE NATION..
WE BELONG TO THE SAME TRIBE..ZAMBIA IS OUR TRIBE.. When are you going to wake up from your silliness and docility. ..didn’t the selfsame old man Sata promise to rule by the 10 commandments at his inauguration on the High Court stairs..he lied he way straight to his death bed in London…going for a medical check up they said….really laughable. Wake up from your passivity and your folly!! Congrats to PF and Lungu but PF should know that without RB, EL would have lost and its a fact. The question should be how can a party that has been in power for only three years strangle to win an election ? Simple, Sata promised a lot of things that he did not deliver, more money in the pocket, constitutions in 90 days, better hospitals etc. Have checked the state if the economy …that money they were paying everyone when they was nothing will have to come from somewhere. .. Do you honestly think your EL can deliver Old man Sata’s lies with the selfsame useless empty tins of ministers? He owes them for putting him in State House you honestly think he will control them…only when it sinks in your docile brains will you relies what we have got ourselves into again. people where is Flight HH2015????????????????????????? forward mwapitilila na state house. ulterances made by Munkombwe and Nkombo and why the voting in your Province was so tribal than in other Provinces. jane mulenga, r u a christian? If not then pliz repent in jesus name. I see a cloud of darkness upon your head. The blood of jesus is still there. Pliz invite christ in your life. The dark cloud is upon you. I see your family runing in diferent direction. Pliz pray.